The Buffalo News reports that a plan from the Niagara Frontier Transportation Authority (NFTA) to extend its Metro Rail to Amherst, New York, is steadily gaining traction among both elected officials and the general public. Consisting of both underground and street-level tracks, the extended line would run between the University at Buffalo’s north campus in Amherst and its south campus in Buffalo, more than doubling the current system’s 6.4-mile route. As a result of the extension, NFTA light rail trains could complete trips between the two cities in as little as 17 minutes, greatly reducing congestion in a major urban corridor. And as the summer comes to an end, local residents are looking forward to any infrastructural project that could allow for a shorter, safer commute during the city’s notoriously brutal winter months. Though primarily designed for the University at Buffalo’s 30,000 commuter students, an expanded NFTA route would also benefit the residents of many other New York towns, including Niagara Falls, Tonawanda, and of course Amherst. Numerous studies have shown that expanded mass transit positively impacts local economies, which suggests that the system’s growth will also likely boost property values and attract more customers to local businesses. The NFTA’s expansion plan is largely supported by local governments in affected regions. While officials stress that zoning codes on either side of Niagara Falls Boulevard should be adjusted before construction, the Amherst Planning Director and Tonawanda Town Supervisor have both voiced their approval for the project. As any Buffalonian could tell you, Western New York gets more than a little snowy in the winter — and that can create perilous conditions for commuters of all kinds. While an expanded light rail network could provide a safe and effective means of transportation in freezing weather, the NFTA will still need to implement an effective anti-icing strategy to prevent its tracks from freezing as soon as the temperatures begin to drop. 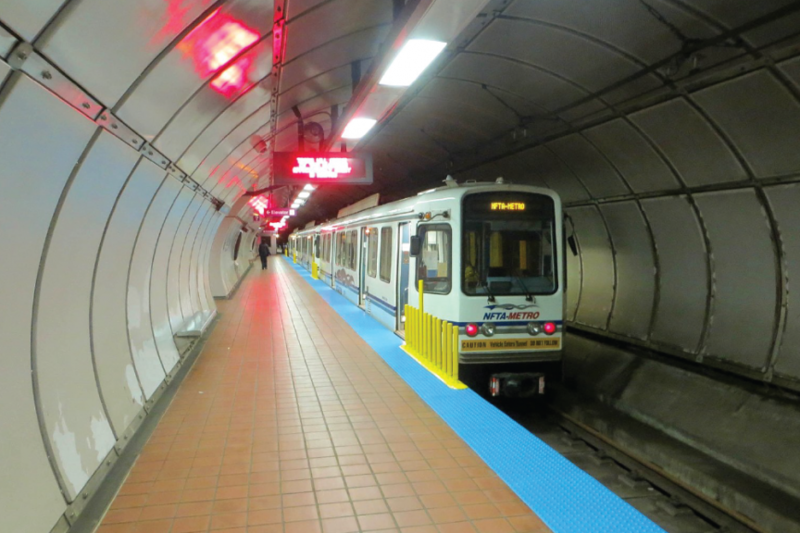 With over four decades of experience serving mass transit systems across the country, Midwest Industrial Supply, Inc. has the knowledge and expertise needed to help transit authorities like the NFTA manage their rail networks throughout the year. When applied before a storm, our patented anti-icing agent Zero Gravity Third Rail® settles and sticks onto third rails and vertical surfaces. Designed to withstand temperatures as low as -70 °F, it can effectively prevent the accumulation of ice and snow, ensuring that your trains keep running even in the most punishing conditions. Regardless of your system’s needs, Midwest can work with you to develop a custom application program that reduces ongoing maintenance costs and ensures peak performance. Winter weather in Buffalo may be unforgiving, but with the help of Midwest’s anti-icing technology, the city’s transit systems will be more than prepared for the challenge.